Wanderlust Edinburgh, Scotland- Fishers in the City. Best Oysters, How I’ve Waited for You All My Life. The shallot vinegar was something else completely; I was drinking it by the spoon-full. The carnage. 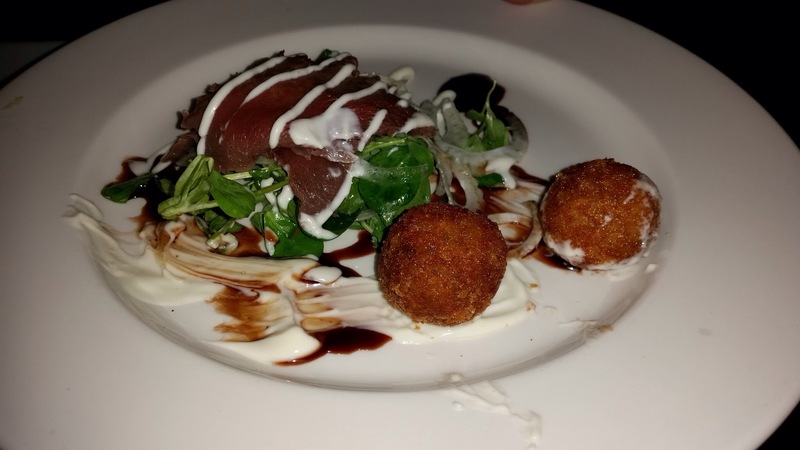 Home smoked Venison, Arbroath smokie mayonnaise, haggis bon bons £8.50 Honestly, the oysters were so good that I don’t remember how this dish was. I vaguely recall the fried haggis bon bons were awesome with the mayo. 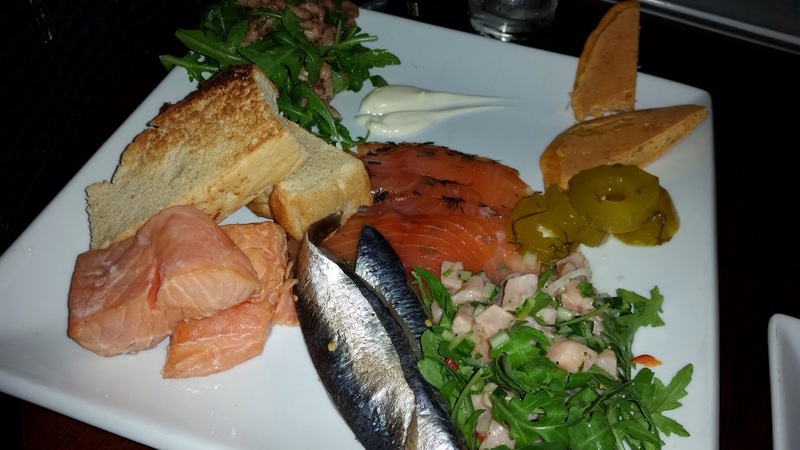 Chilled Scottish Seafood Platter: Lime & ginger hot smoked salmon, sliced gravadlax, damson & gin cured salmon carpaccio of Monkfish, crayfish salsa, pickled sweet onion, brown shrimp & rocket salad, ciabatta bread £10.00 /£19.50 . Are you kidding me? I don’t know why I ordered salmon and monkfish after the best oysters ever. They paled in comparison to the oysters. Just for the oysters and the haggis (read my haggis post here), I will fly the seven hours to Edinbrugh again. These Loch Creran oysters are the best I have ever had in my life. #Oysters The world really is my oyster. 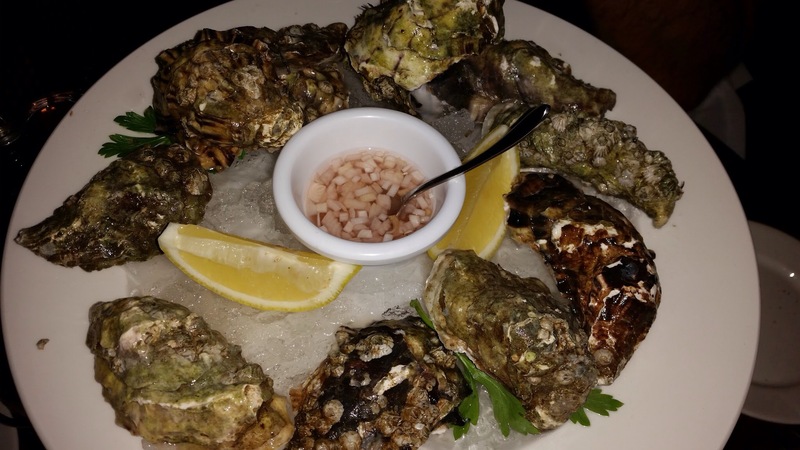 Read my prior oysters experiences below so that you know I am not a newbie to oysters. And the number next to each of the posts indicates their ranking of the oyster excellence. It’s obvious that the closer the restaurant to where the oysters are bred, the better the eating. Wanderlust – Goombays Grille & Raw Bar in Kill Devil Hills, NC. Solved My Small Appetite Problem. Purdy’s Farmer & the Fish in North Salem, NY – Celebrating a New Beginning and Old Friendships. Oysters and Scallops! 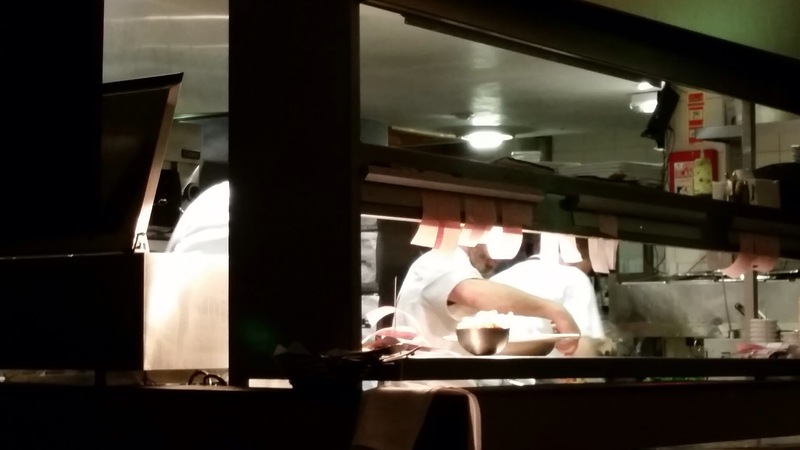 Ten Twenty Post in Darien CT – Oysters! Oysters! Oysters! 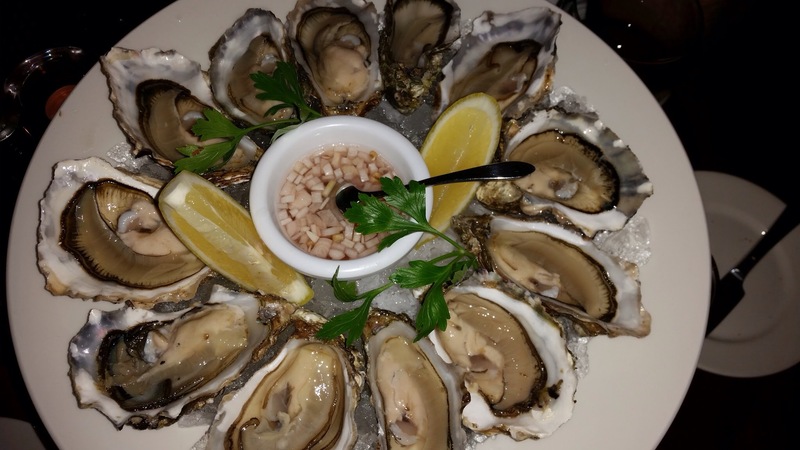 Posted on September 13, 2015 September 13, 2015 Categories Cuisines, My Travels, UK, UK, WanderlustTags Best Oysters, Fishers Restaurant Edinburgh, Loch Creran oysters, oysters, Peilin Corbanese Wanderlust, Wanderlust Edinburgh Scotland2 Comments on Wanderlust Edinburgh, Scotland- Fishers in the City. Best Oysters, How I’ve Waited for You All My Life.